Now that the millennials are firmly in charge of the climbing bandwagon and Brooklyn Boulders is headquartered in Denver, it's time to talk influence, how to get it and how to wield it. Maybe some of you are toting your climbing resumes to Summer Outdoor Retailer right now in the hope of getting free stuff. Maybe some of you are getting free stuff and still want to keep getting it. No matter, you need to get your rep past the bean counters and the marketing specialists and to do that you must understand the process that lets you post that sponsor junkshow shot on the instagrams. Back in the day (i.e.1895), a hemp-rope-carrying alpine dude named Mummery stated, "It has frequently been noticed that all mountains appear doomed to pass through the three stages: An inaccessible peak - The most difficult ascent in the Alps - An easy day for a lady." Much more compelling stuff than "Because it's there" from that other M-duh-duh-ly guy who also perished up high on a cold (albeit more famous) mountain. In other words, nothing has changed, including possibly the sexism. If you want a reputation, you have to understand the relative value of your achievement. It's not a bad idea to see it in the context of the Mummery Grade system, a system that BTW uncannily reflects the Gill bouldering grade of B1, B2 and B3. Climbers have to realize that like grades at Harvard (and most everywhere else) climbing grades keep going higher and are worth less and less over time. It's kind of like Moore's Law, except for the fact that really climbing grades don't matter. Okay they do, but we don't like to discuss them too blatantly anymore than we don't want to be that gauche dude who asks how much that sweet Sprinter van costs. Climbing grades are like money in a lot of ways. At the top end, those who have the highest numbers need them the least. At the bottom end, we scrape and grind away to get a pittance of reward. But who cares about either of those categories, let's get to the middle class, the climber who is actually well, kind of good, as in C leaning toward B-Team good and thinking that free stuff sounds like not only a good idea but what he or she deserves for that effort, "Murica" being a nation dedicated to free enterprise and whatnot. How can this aspirant navigate this maze without putting a foot wrong and punting in sight of the chains to use a metaphor that appeals to climbers? How can you ambassadorize yourself with maximum impactfulness through Faceblock, Snapshut, and the Instagraph Machine? These are vital questions lest you have to Kickstart yourself to sponsorship. It's actually quite simple. First you must familiarize yourself with the (roughly) five (or six) stages of any route. Learn these basic principles and your brandworthyness will rise to the surface like a rich algae froth on a hot summer afternoon. And free stuff will surely come your way. Stage 1: Nobody can climb the route. The route is impossible. This is getting harder to find everyday, mostly because nobody ever wants to work hard enough to say they can't do it because they aren't strong enough. Conditions, trade show commitments, video shoot on the Canary Islands, imaginary hold breakage, whatever; the excuses are legion but occasionally someone puts some serious time in and is coming back empty-handed. The rig is really really hard! Stage 2: The route gets done. It's a thing! Could be someone obscure, could be someone famous (see Stage 3) but it goes and it's obviously hard. Cool. Plus it's a route that people actually want to climb. If you FA it, free stuff might be available. Or not. Hope for Stage 3 to happen soon. Stage 3: The route gets done by someone famous. This could be the FA or it could be the 2nd ascent or even the 3rd, maybe, but that's pushing it. Okay, now the media spotlight is on the climb. If this is you, you are probably already getting free stuff. But if you aren't, now is your time to shine. But you have to act quickly before it slides to Stage 4. Stage 4: You get some (limited) attention for simply climbing the route. This is a fragile and easily disintegrating state. You need to get in and do the route while the grade holds and people are interested because of Stage 3. You won't get much attention though because the route then fairly rapidly slides to Stage 5. You probably won't get free stuff at least not from A-list companies. 6th ascent? I don't think so. Stage 6: The deadpool stage. This can happen frighteningly quickly. Day late, dollar short. Nobody cares if you did the route. Your friend just did it and even worse your frenemy did it in fewer tries than you. The local climbing team is running laps on it. The crew found six new kneebars. If you post a video, the only people who watch it are mining beta and the Insertgram likes are from your mom. But hey, the best climber in the world is the one who is having the most fun! HAHAHA. LOL. As if. It's time to rethink your strategy if you want free stuff. I hope this helps you formulate your self-brandification strategy as you monetarize your social media outreach via your FB athlete page and Twooter feed. Happy influencing! And remember Craigslist is always ready to take your free stuff and convert it to hard ca$h. 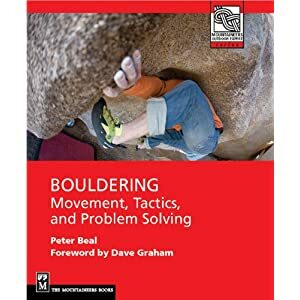 Makes me think of one of the best boulder problem names, and a sentimental favorite of mine: Not to be Taken Away. I was eyeballing a sheep crashpad the whole time, no lie!